In contemplating the future, I love imagining how our daily lives today will be thought of in the future. What appears like science fiction to us today, but will be “normal” 50 years from now? What inefficient and boneheaded things do we do today that future generations will look back and laugh at? But who are they? What makes them tick? Why do this versus other things? And how might their technologies change the world? These are their stories. The scale of microbes on this planet is astonishing. If I went down to Venice Beach, a few blocks away from my office, and filled up a water bottle from the ocean, I’d capture about a billion little life forms (also known as microbes). Fill eight water bottles and you’ve got more microbes than humans on earth. The entire ocean contains more microbial life forms than there are stars in the observable universe. More awe-inspiring: we share our bodies, from our scalps to our guts, with trillions of tiny organisms. Collectively these organisms are our microbiome, and the growing discoveries about its powerful role in our health and wellness has been called the greatest medical discovery of our age — a once-in-a-century discovery that has been called a new organ in the human body. We now have “another lever,” as an article in the American Journal of Epidemiology noted in January 2018, “to pry open the proverbial black box” of human health. At the leading edge of this microbiome revolution are uBiome founders Dr. Jessica Richman and Dr. Zachary Apte. They are pioneering the field, and have built a platform that is already changing everything from medical testing to household products. Richman and Apte met in 2011. Richman was a PhD student at Oxford, applying computer science techniques to economic data, and had started a company based on that work. Apte was at UCSF, earning a PhD in biophysics, which he would complete within 2.5 years. He had started a company funded by a Department of Energy grant that was sequencing bacteria to better understand biofuels. Richman and Apte met at a program for entrepreneurs hosted by the Chilean government, where they found they shared an impatience for the long process to make academic research useful in the world, as well as an excitement about the potential of the microbiome and what a robust set of data around it could make possible. Less than a year later, they launched uBiome with a crowdfunding campaign. 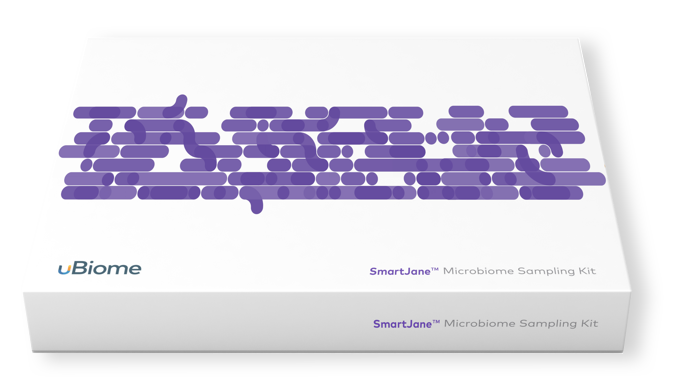 uBiome was the first company to launch a product to give the public access to microbiome sequencing and data in 2012. In 2013, uBiome had the largest microbiome database in the world with 2,500 samples. They still have the largest microbiome data set in the world, with over 250,000 samples at present and over a million samples projected in 2019. In 2015, uBiome was the the first company with a CLIA-licensed (later also CAP-accredited) laboratory. uBiome announced a research partnership with the Centers for Disease Control and Prevention (CDC) to study hospital-acquired infections in 10,000 people, and academic partnerships with leading institutions around the world, including Harvard, MIT, Stanford, UCSF, Oxford University, and University of Sydney in 2015.
uBiome launched SmartGut, world’s first sequencing-based clinical microbiome test, providing patients and healthcare providers with actionable insights to improve gut health in 2016.
uBiome was the first to introduce a sequencing-based women’s health test that included an HPV screen (the only one in the world to genotype all 19 clinically relevant strains of HPV), a test for 4 common STIs, and a test for over 20 microorganisms that can lead to conditions like bacterial vaginosis and aerobic vaginitis, all in one convenient swab, just last year in 2017. Along the way to those firsts, uBiome had to invent many foundational technologies. Apte and Richman have filed for more than 200 patents, ranging from sample collection to lab processes to algorithms and sequencing protocols to diagnostics applications and therapeutic targets. They have developed precision sequencing™, a patented combination of amplicon and full metagenomic sequencing (more on that later), as well as numerous machine learning and other analytical tools, with applications in oncology, autoimmune disorders, metabolic disorders, oral health, women’s health, and infectious disease. It takes a lot to decode this massive and first-of-its-kind dataset and its links to human health. There are 39 trillion bacteria that make up your microbiome and enable you to digest your food, synthesize vitamins, metabolize drugs, fight infection, and much more. The genes that determine your blood type are likely bacterial in origin. Several genes involved in inflammation appear to have come from bacteria as well. If you scan the human genome, we have hundreds of genes or copies of ancient genes from ancient bacteria and microbes. The human-microbe relationship is profound — they are an integral part of everything we are. So what? 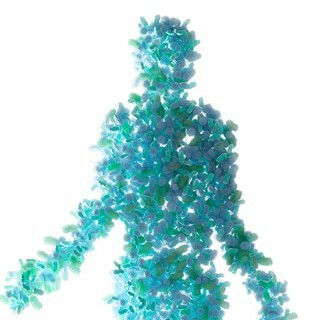 Thanks to uBiome, we can now help our microbiome help us. Therapeutics: uBiome is using it’s massive data set — they expect a million samples by the end of 2019, collected via their consumer and clinical tests on a rigorously opt-in basis — to find new drugs to treat everything from cancer to autoimmune and metabolic disorders. The breadth of the data allows a range of mechanisms for potential targets: 1) bugs as drugs (microbes added to a person’s system to treat a condition), 2) drugs for bugs (treatments that target microbes), or 3) drugs from bugs (treatments derived from particular microbes). Companion Diagnostics: There are people who can’t be treated for cancer because available chemotherapy is too toxic to their gut and the treatment would kill them before the cancer would. uBiome’s patented precision sequencing methodology offers a detailed understanding of exactly which microbes are affected by the treatments, the ramifications of those effects, and paths to drug discovery to mitigate them. Future plans also include tests for antibiotic resistance genes, pharmacogenetics (seeing which drugs work best for you, based on your microbiome), and support for drug development personalized to a patient’s microbiome, and more. Testing: There is an STD that’s as common as chlamydia, causes infertility, and is easily treatable with antibiotics, but most people have never heard of it because it is not part of standard testing. This means potentially thousands of women can’t have children because they had an infection there wasn’t a test for. uBiome’s patented sequencing and analysis methodology makes that test possible — a life-changing application of their technology platform. It’s part of their SmartJane™ test, available from doctors today. Within the next five years we — and our doctors — will be able to know our risk factors that have to do with the microbiome and how those factors impact our susceptibility to heart disease, metabolic disorders, autoimmune conditions, and more. Within ten years we’ll be saying that we can’t believe we used to get diagnosed with “a cold or a stomach bug,” because we’ll be able to sequence our microbiome and know exactly what we have, and how best to treat it. Consumer Products: In the very near future we’ll be reading headlines about uBiome’s partnerships with Fortune 500 companies to produce “microbiome-aware” consumer products — products that work with your microbiome for better outcomes. Richman says, “Your shampoo can help your scalp grow organisms that prevent dandruff. Your skin cream can replenish bacteria that that are more typical of youthful skin. Your cereal can deliberately feed beneficial gut flora, so you’re less likely to have gut issues.” We will look back with wonder that we used to put things into and onto our bodies with no awareness of their impact on our microbiome. The science of microbiology has been useful to humanity for 150 years. It allowed us to understand that germs cause disease and pointed the way to antibiotics — the discovery of penicillin alone has been credited with saving at least 200 million lives. But it has also has had a very significant limitation: many, possibly most, organisms cannot be reliably grown in a lab, and up until recently microbiology has been limited to the cultivation of bacteria in labs. If an organism couldn’t be grown — or “cultured” — what we could know about it was incredibly limited. Over the last two decades, microbiology has undergone a revolution, thanks to dramatically reduced costs of DNA sequencing that have made it economically viable to sequence lowly bacteria. It turns out there are thousands of species of bacteria, and hundreds of thousands of strains of bacteria, that we were never able to see when we relied strictly on growing them in the lab. Sequencing bacteria enables computational biologists, like uBiome co-founder Apte, to uniquely identify thousands more organisms than they could even a decade ago, and data scientists, like uBiome co-founder Richman, to usefully analyze those organisms. This revolution in microbiology makes possible uBiome’s patented precision sequencing technology. 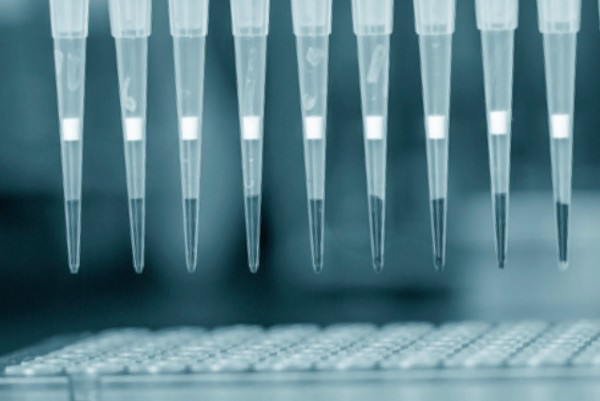 Precision sequencing combines two types of DNA sequencing — amplicon and metagenomic — to provide answers about the different kinds of microbes present, as well as many of their functions and capacities. Precision sequencing allows tests like uBiome’s SmartJane test to identify 19 separate strains of HPV, and indicate which could be dangerous. It allowed them to include the screening for Mycoplasma genitalium — the infertility-causing STD I mentioned above — in SmartJane. M. genitalium is difficult to grow but easy to sequence. uBiome was able to include it in its clinical test, so women and their doctors can take action and prevent infertility. Precision sequencing enables uBiome’s SmartGut to detect dozens of organisms that are correlated with inflammatory bowel disease (IBD) or irritable bowel syndrome (IBS) and help doctors and patients better understand patient’s gut health. That’s just on the testing side. On the therapeutics side, uBiome is using their patented platform as an advanced drug discovery platform to find and patent hundreds of compounds, live biotherapeutics, and other modalities that may be the cures of the future. Ubiome has leveraged the microbiology revolution and propelled it into the future. They didn’t just build a lab and processes to enable Explorer, their first consumer product that helped people see into their microbiome for the first time in 2013. 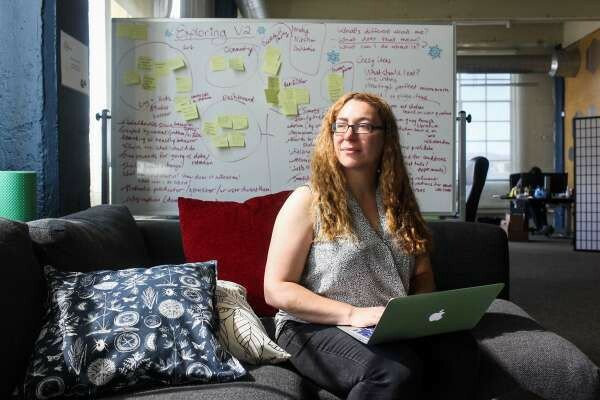 They leveraged their scientific and technological expertise and the tools at their disposal to build a platform that allows them to answer not just whether you should eat artichokes or bananas, but to answer whether you’ve got a dangerous STD, and what to do about it. They’re building the test that tells you if your chemo is going to work if you have cancer, whether you have Lyme disease, and predictive risk factors for many cancers. They have built a deep tech platform that’s overkill for the bananas versus artichokes question, but is positioned to change and save lives. In 2012, when Richman and Apte started uBiome, they launched into the unknown. The scientific understanding of the microbiome and its utility for people was nascent at best, and uBiome’s success relied on inventing to enable the ecosystem to emerge. uBiome published peer reviewed research, not just self-published white papers. Their lab is not just CLIA licensed — the minimum requirement — but is College of American Pathologists (CAP) accredited, a distinction shared by only the top 3% of labs in the world. They won Institutional Review Board (IRB) approval for their protocols, even though that’s a requirement only of federally funded research. Their scientific and medical advisory boards are peopled with some of the most respected biologists, geneticists, and medical professionals in the world, including MacArthur Genius Award Winners, Steve Jobs’ cancer doctor, and the inventor of the Hepatitis B vaccine. In six years, uBiome grew from a citizen-science crowdfunding campaign to a fully developed platform for the microbiome that includes a home test for the public and two clinical tests for people to use with their doctors (and more on the way.) They have partnerships with Fortune 500 companies to bring microbiome awareness to a wide array of consumer products. OS Fund was an anchor seed investor in 2014 and also led their recent $83 million Series C fundraising round that will propel them fully into broader markets. The speed with which uBiome invented and then built a category of deep tech is evidence of the brilliance and work ethic of the uBiome team. It is also a proof point of the potential in the marriage of hard sciences and technology to build compelling pathways for scientific discovery in parallel with market-ready solutions. “Our goal is to advance the science of the microbiome while making it useful for as many people as possible, and we want to do that as quickly as possible,” Apte told me. uBiome’s work is already changing the standard of care in medicine; in the near future your microbiome will be as central to your health care and wellness as your blood pressure is today. And that’s just the beginning. Many of the most exciting advancements and discoveries of the last century came from unexpected places; from people who found an unmined corner of the scientific world, and set out to learn everything they possibly could. Today we have better, faster, more powerful tools than ever before. So unlike genomics, which took 50+ years to get to a point where it’s broadly actionable and useful, uBiome is able to generate products as they go — while also continuing to advance the science of the microbiome. Understanding the microbiome is useful right now even as the full “sequencing” and deep dive is still underway. The most exciting part of this is that even with the little we do know about the microbiome, we know we’re onto something big, and uBiome is unveiling one more piece of the puzzle each day.